You've got two ways to win more than $300 million this week. But the odds of winning either lottery aren't as good as they used to be. The Mega Millions jackpot reached $306 million when no one won the top prize in Tuesday's drawing. Its next drawing is Friday night. And Powerball's jackpot stands at $384 million after no one won Wednesday's drawing. Its next drawing comes Saturday night. Both games offering $300 million prizes at the same time has been rare in the past. But it's about to become more common. That's because there are now longer odds in both games, leading to more frequent large jackpots. The idea was to go longer between jackpot winners, and to thus increase the size of the top prize. And so far it has worked. 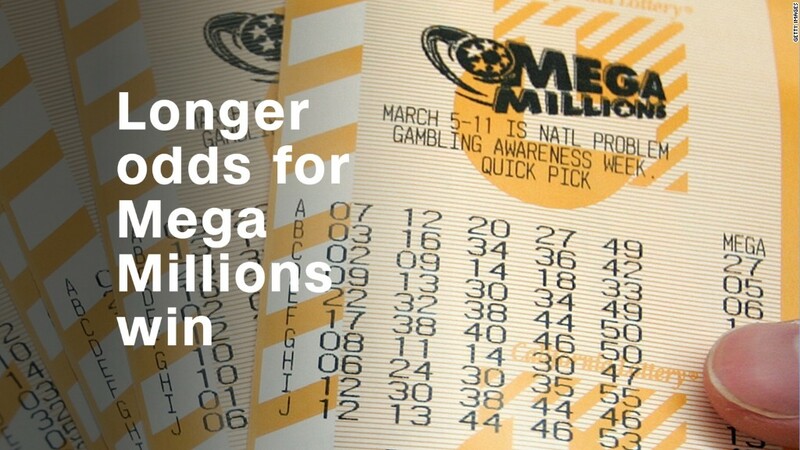 The $306 million jackpot is already the 13th largest in Mega Millions history. If no one wins this Friday, Tuesday's jackpot will be in the top 10. There hasn't been a Mega Millions jackpot winner since before the October 31 change of odds, a string of 21 straight drawings. The last winner was on October 13, when two tickets split a $43 million jackpot. Of course if the chance of winning either game is ridiculous, the chance of winning both is ridiculous on steroids -- 1 in 88 quadrillion, or 1 in 88,412,922,115,183,000 to be precise. Or if you're one of those people who do better with percentages: You have a 0.0000000000000011% chance of winning both games. But that won't stop people from buying tickets to both games when they purchase tickets in the coming days. The last time both were above $300 million at the same time, sellers reported people snapping up tickets to both Mega Millions and Powerball. And Americans do love buying lottery tickets. They spent more than $80 billion on them in 2016. That's more than they spent on movies, video games, music, sports tickets and books -- combined.